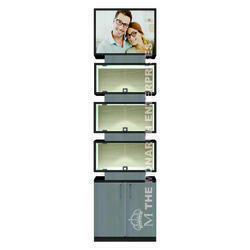 Providing you the best range of optical modular led display panel unit solution for optical showrooms, optical modular acrylic displays for showroom, optical modular high end frame display for eyewear showrooms, optical modular niche display units, optical modular displays for eyewear showrooms and optical modular displays for eyeglass, sunglass showrooms. with effective & timely delivery. The Monarch Enterprises is one of the leading providers in the optical industry's in design and manufacturing and custom made optical displays. We are the manufacturer, exporter and supplier of Eye wear LED Display Panel for Showroom, Optician, Optometrist, Sunglasses Furniture Kiosks for Showroom, Acrylic Eyeglass Counter Display stand, Modular Acrylic Niche Frame Display Stand, Optical Modular Furniture Design, Lockable and Non-Lockable Rods, Modular Furniture and Showroom planning and designing that enhances your brand value and optimizes your customers experience. Our products will help you increase and enhance the quality of your overall profit. For more than a year, over hundreds of clients have trusted us with their optical showroom needs, and our high quality products and unparalleled service have ensured that they return for their future and showroom expansion needs. - Item will be shipped 30 business days after receiving payment. -Tracking number will be provided once consignment shipped. -Import duties and other destination taxes would be buyer's responsibility. - We use reputed couriers for logistics. - We deliver Worldwide, for major Countries we use reputed courier companies. - For those country/cities/towns that are not serviced by our courier, we use the Indian Postal. We accept payment through PayPal as it is safest and quickest mode of payment which not only enables us to expedite your shipment speedily but also protects every one's interest. Size 7.5ft Height 2.8ft Width x 1ft Depth. Size Dimensions In Length X Breadth X Height 7.5ft Height 2.8ft Width x 1ft Depth. The Monarch Enterprises is one of the leading providers in the optical industry's in design and manufacturing and custom made optical displays. We are the manufacturer, exporter & suppliers of Acrylic Eye wear Back Wall Display Stand, Sunglasses Optical Wall Display with fings, Lockable wall mount eyeglass displays, Non Lockable Display Rods for Sunglasses, Optical Lockable & Non Lockable Rods Modular Furniture and Showroom planning and designing that enhances your brand value and optimizes your customers experience. WHO WE AREThe Monarch Enterprises is one of the leading providers in the optical industry's in design and manufacturing and custom made optical displays. 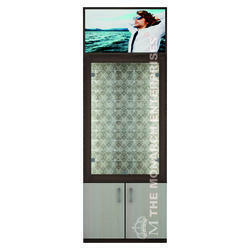 We are the manufacturer, exporter & suppliers of Eye wear Showroom Display Stand, Lockable eye wear displays, Lockable and Non Lockable frame displays, Lockable sunglasses display, Eye wear Non Lockable Display Rod, Optical Frames Stand Holder, retail display stands and fixtures, Modular Furniture and Showroom planning and designing that enhances your brand value and optimizes your customers experience. - Item will be shipped in 3-6 business days after receiving payment. Size 7.5ft Height x 2.8ft Width x 1ft Depth. 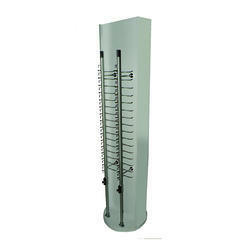 DIMENSION: 7.5ft Height x 2.8ft Width x 1ft Depth. The Monarch Enterprises is one of the leading providers in the optical industry's in design and manufacturing and custom made optical displays. We are the manufacturer, exporter and supplier of Optical Acrylic Niche Display Stands, Sunglasses Acrylic Niche Display Stand, Optical retail display stands and fixtures, Sunglasses kiosks for Showroom interior decoration, Lockable and Non-Lockable Rods, Modular Furniture and Showroom planning and designing that enhances your brand value and optimizes your customers experience. 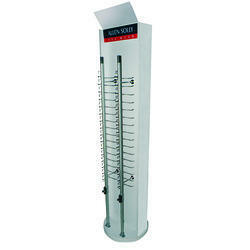 Our products will help you increase and enhance the quality of your overall sales. The Monarch Enterprises is one of the leading providers in the optical industry's in design and manufacturing and custom made optical displays. We are the manufacturer, exporter & suppliers of 3D Optical Showroom interior decoration, Optical counter top eye wear displays, Modular furtniture Optical Showroom Display,Eye wear windows display, Slat wall, wall mount display rods, optical shop design, optical display design, Frame displays, Modular Furniture and Showroom planning and designing that enhances your brand value and optimizes your customers experience. Size 7.5ft Height x 2.8ft Width x 1ft 3" Depth. DIMENSION: 7.5ft Height x 2.8ft Width x 1ft 3" Depth. WHO WE AREThe Monarch Enterprises is one of the leading providers in the optical industry's in design and manufacturing and custom made optical displays. We are the manufacturer, exporter & suppliers of Modular Optical Showroom Display, Kiosk for Sunglasses,Optical chain store modular Furniture Design, Lockable and Non-Lockable Rods, Optical Showroom Designing & interior decoration, consultant and service providers, Lens Trays, Frame Trays, Acrylic Displays, Revolving Stands, Modular Furniture and Showroom planning and designing that enhances your brand value and optimizes your customers experience.Our products will help you increase and enhance the quality of your overall sales. Dimension 7.5ft Height x 2.8ft Width x 1ft Depth. The Monarch Enterprises is one of the leading providers in the optical industry's in design and manufacturing and custom made optical displays. We are the manufacturer, exporter and suppliers of Optical Display Revolving & Non Revolving Floor Stand for Eyeglasses, Eye wear Acrylic Display Revolving Stand, Sunglasses Furniture Kiosks for Showroom, Optical Niche Display Stand for Sunglasses, Optical Niche Frame & Sunglasses Display Stand, Modular Furniture and Showroom planning and designing that enhances your brand value and optimizes your customers experience. Size 18" x 18" x 72"
Thickness 18" x 18" x 72"
Dimension 18" x 18" x 72"
The Monarch Enterprises is one of the leading providers in the optical industry in design and manufacturing and custom made optical displays: We are Manufacturer, Exporter & Suppliers of Optical Display Revolving Stand for Eyeglasses, Eye wear Acrylic Revolving & Non revolving Display Stand for frames and Sunglasses, Acrylic Eye Wear Optical Display Counter Revolving Stand, Lockable and Non-Lockable Rods, Revolving Stands, Modular Furniture and Showroom planning and designing that enhances your brand value and optimizes your customers experience. - Item will be shipped 15-20 business days after receiving payment. The Monarch Enterprises is one of the leading providers in the optical industry's in design and manufacturing and custom made optical displays. We are the manufacturer, exporter & suppliers of Optical Revolving & Non Revolving Acrylic Display Unit , Optical Modular Furniture Design, Optical Display Frames, Sunglasses Furniture Kiosks for Showroom and Malls, Eye wear Showroom Storage Drawer,Lockable and Non-Lockable Rods display stand, Modular Furniture and Showroom planning and designing that enhances your brand value and optimizes your customers experience. Size (mm) 18" x 18" x 72"
The Monarch Enterprises is one of the leading providers in the optical industry's in design and manufacturing and custom made optical displays. We are the manufacturer, exporter & suppliers of Optical Revolving & Non Revolving Acrylic Display Stand For Frames and sunglasses, Non Revolving Ground Stand for Spectacles Showroom, Optical Acrylic Niche Display Stand for Showroom, interior decoration, Optical Table Top Display Stands for Spectacles, Modular Furniture and Showroom planning and designing that enhances your brand value and optimizes your customers experience. PAYMENTSWe accept payment through PayPal as it is safest and quickest mode of payment which not only enables us to expedite your shipment speedily but also protects every one's interest. WHO WE AREThe Monarch Enterprises is one of the leading providers in the optical industry's in design and manufacturing and custom made optical displays. 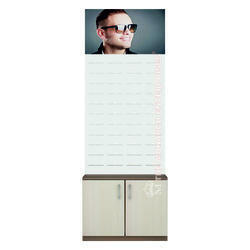 We are the manufacturer, exporter & suppliers of Sunglasses Niche display Unit, Eye wear Niche Display Unit, Spectacles Niche display Unit, Acrylic Niche Display Unit, Eyeglass Niche Display Rack, Optical Niche Display unit for frame display, Optical Niche display furniture, Modular Furniture and Showroom planning and designing that enhances your brand value and optimizes your customers experience. Size (mm) IDEAL FOR SHOWROOM DIMENSIONS 8ft Height x 10ft Width x 12ft Depth. IDEAL FOR SHOWROOM DIMENSIONS: 8ft Height x 10ft Width x 12ft Depth. 5. Bottom Storage Units : 2 Nos Size & Details on request. Optional Purchase at Extra Cost : 1. Wall Paper : $3USD per sq feet. Can be customized. 2. Top Royalty Free Posters : 7 Nos. $4USD per sq feet Can be Customized. The Monarch Enterprises is one of the leading providers in the optical industry's in design and manufacturing and custom made optical displays. We are the manufacturer, exporter and suppliers of 3D Optical Showroom Interior Decoration, Optical chain store design and execution, Optical Modular Furniture Showroom Displays, Optical Shop Counter Design, Sunglasses Furniture Kiosks for Showroom and malls, Lockable and Non-Lockable Rods, Lens Trays, Frame Trays, Acrylic Displays, Revolving Stands, Mirrors, Portable Eye Camps Stands, Traveling Bags, Portable Trolleys, Modular Furniture and Showroom planning and designing that enhances your brand value and optimizes your customers experience. - Item will be shipped 45 business days after receiving payment. 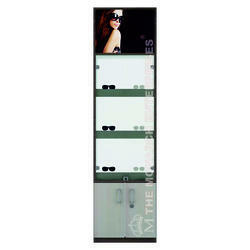 Looking for Eyewear stand alone displays ?